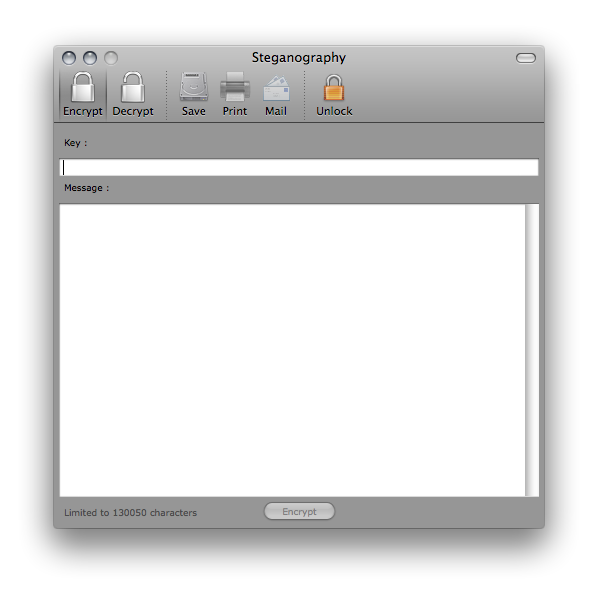 With the steganography tool you can hide messages inside pictures. Don t worry about corruption of files. The file is converted to the format you used. Enter your password, your message then click encrypt. Save : Save the output field. Print : Print the output field. Mail : Mail the output field. Unlock : Make all the fields visible (Need Admin Right).